What should NOT be flushed down the sewer ? Sewers are designed to take away used dirty water from sinks, baths, showers, laundries, and toilets. Flushing away non-flushable items can be dangerous, cause public health problems, and adds to the cost of operating and maintaining your sewers and the treatment plant. 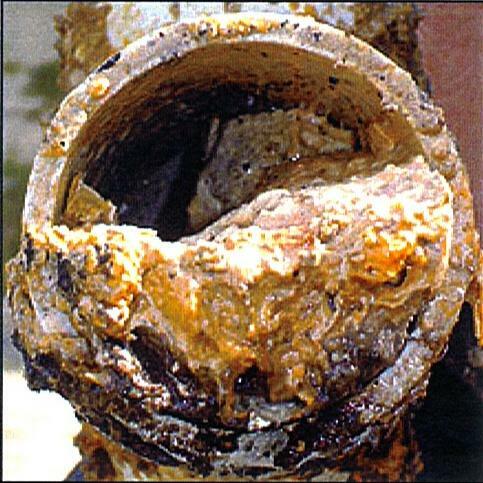 Reminder- cooking grease will solidify in your pipes as soon as it contacts cold water. This will clog the pipes in your house before it even gets to the street sewer !! Solid items (except medicines) should ALL be carefully disposed of in your trash containers. Putting trash down the toilet causes blockages in sewers and possible damage to the environment. “Disposable” means you should bag it and trash it… don’t flush it! Most baby wipes and adult wipes are not flushable. Non-flushable wipes do not fall apart in water like toilet paper; they get tangled in the sewage with other wipes and debris, resulting in sewer clogs and expensive problems for us and our residents.